THE WORLD DESPERATELY NEEDS A SECULAR MORALITY!!! The United States, Europe, China, and Russia are the major powers in the world and all are suffering from moral decay because the young generation is not being taught a basic necessary morality which creates trust and makes possible civilized healthy human interaction without the need for force or the threat of force. Surveillance cameras are being placed everywhere to monitor crime. Corrupted wall street has turned the stock market into an unpredictable gambling crap shoot where fast computers with their unjust algorithms and big money in the form of hedge funds, big banks, big investment companies, and billionaire investors are stealing money by the billions from honest investors. The stock market is no longer influenced by sound business tangible asset fundamentals. All this is threatening a stable just money supply and a potentially healthy economy in the process. The media is no longer the protector of individual rights and the whistle blower on public corruption but does what is considered politically correct for those in power. An outdated educational system does not know how to provide an equal opportunity for the economically poor in ghetto neighborhoods where discipline problems and family problems make an inefficient traditional educational system dysfunctional. A corrupt medical profession does not promote excellent nutrition but opts for expensive wasteful medical procedures and prescription pills for every illness. This frequently doesn’t cure anything but make the illness worse with side effects which are treated with more pills. Small business partners are frequently failures because they don’t trust one another and can’t expand their business. Constant relationship problems exist among humans and many are becoming depressed loners. The average person lies about something almost on a daily basis. Organic food growers are being harassed with unjust food safety laws which make raw milk sale illegal and make food made in the home illegal for sale to the public. These are all just some of the signs that there is no common morality which is holding societies together in a healthy way. Corrupt institutions get favorable legal support and society becomes institutionalized corruption. 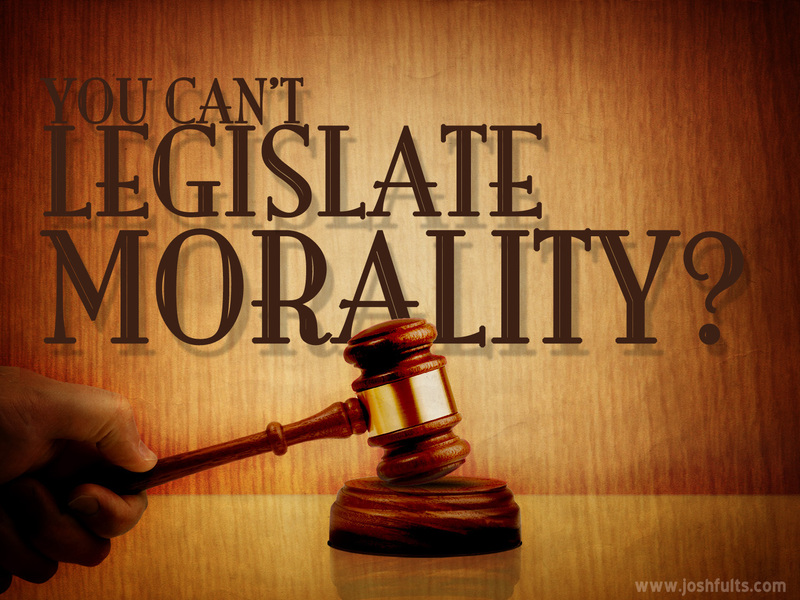 A thousand and one unjust laws are added on a daily basis unsuccessfully trying to replace morality. The consequences of trying to legislate morality is that almost everyone feels that the system is unjust and feel demoralized and hopeless. The beginning solution to this problem is to teach an absolute moral code in elementary school to young impressionable minds who will find out as adults that there are exceptions to this code but that they should be relatively rare. In a nutshell the moral code should be don’t destroy biodiversity, don’t lie, don’t be inefficient, don’t steal, don’t commit adultery if married, and don’t murder. I will expand on the need for this moral code in future blogs. There are also solutions to political, social, educational, and economic problems as outlined in my evergreen book COMMON SENSE. If you liked this evergreen blog then read more of them and read one or more of my evergreen books, especially COMMON SENSE. This entry was posted in business, common sense, economy, education, justice, science, society and tagged business, common sense, education, educational bureaucracy, justice, moral code, moral decay, morality, science, society, traditional educational system on June 6, 2013 by uldissprogis.